PIN - SARAH COVENTRY. "FLOWER FLATTERY" FROM 1968. 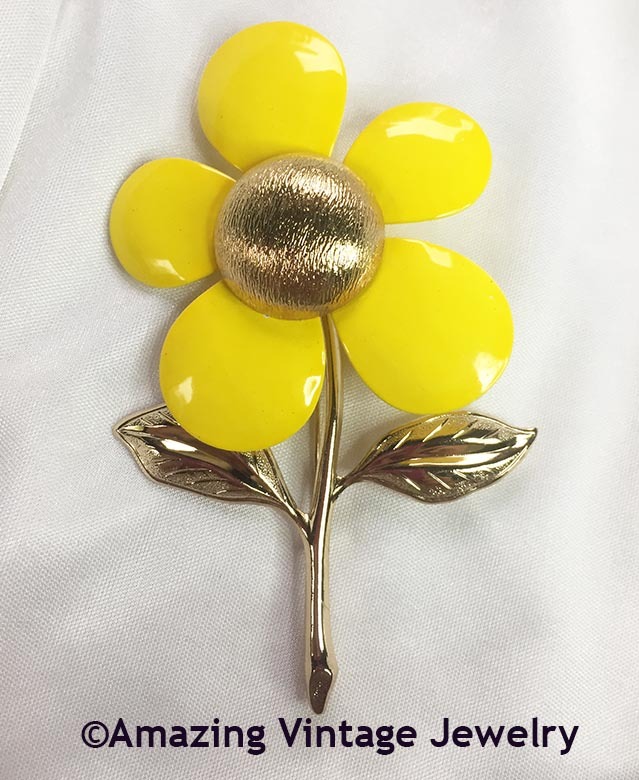 VERY LARGE AND BOLD, YET LIGHTWEIGHT DAISY PIN. 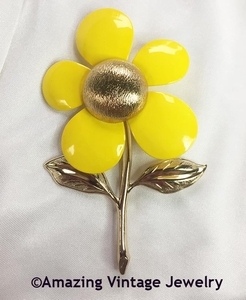 SOFT CREAM ENAMEL WITH TEXTURED GOLDTONE CENTER AND BRIGHT GOLDTONE STEM AND LEAVES. 4" LONG, 2 1/2" ACROSS. VERY GOOD CONDITION. MORE RARE IN COLORS THAN IN WHITE.